Another U.S. Marine of California was the victim of a collision with a drunk driver Tuesday morning. Fremont police Officer Alan Zambonin wrote a statement indicating that 23-year-old Alexander Yohn of Emeryville refused to be given a ride after downing whiskeys and bar-hopping on Monday night. Around 1 a.m. Tuesday morning, a Taco Bell employee called police after Yohn had made a disturbance in the drive-thru. Officer Steven Nordseth spotted him driving a Mini Cooper in the opposite direction on Fremont Boulevard. The driver failed to yield after Nordseth tried to stop him. Yohn then ran a red light at Decoto Road where he collided with motorcyclist Andrew Silva, a 23-year-old lance corporal whom had only just returned from Afghanistan in February. The suspect crashed the car into a utility pole and caught the car on fire. Yohn ran to a nearby field where Nordseth was able to catch him to take him into custody. Andrew Silva died at the scene. His family (wife and two year old son) only had him home from Afghanistan for a month before the tragedy. Yohn, a self-described heroine addict and alcoholic listed his occupation as an emergency medical technician. According to his records, he also has a prior drunken-driving conviction from Minnesota. Yohn was charged with murder, vehicular manslaughter with gross negligence and hit-and-run; all counts were felonies. He is in jail without bail. To prove 2nd degree murder the government must confirm implied malice. Murder charges were filed since Yohn failed to yield to Officer Nordseth’s attempt to pull him over and intentionally ran a red light thereafter. A fund has been set up for Silva’s family. Contributions can be sent to the Andrew Silva Memorial account, Fremont Bank, P.O. Box 8170, Fremont, CA 94537-8170. It is shuttering to know that one of our nation’s heroes has fallen victim on his own soil, to his own drunken countryman. If you or a loved one has suffered an injury or was even killed from a collision where another driver is at fault, call the Elia Law Firm to represent you and your family. Their expertise in Personal Injury Law has recouped damages and medical expenses for many cases just like yours. Call (619) 444-2244 right now for your free consultation. 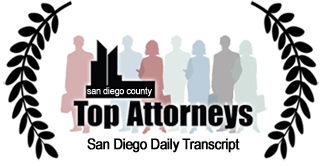 Man Killed in a DUI Accident in San Diego Carlsbad Car Accident Kills 1 Double Car Accidents in La Jolla Kills 1, Injures 2 Is the DUI conviction enough to prove the drunk driver is at fault?